Moving Tank (from state to state) need help. I have my 40b w/stand and its obviously high tech, dirted, with most places having a 1" sand cap, some even less maybe due to settling..
Ive moved tanks from state to state before, and well... didn't go to great. Re: Moving Tank (from state to state) need help. i moved a 20g long reef tank 7 hours several times. Same as my little 5.5g natural planted tank. For the planted tank, i simply drained the water down to where there was only 2" of water in it. Picked it up and placed it in my car. There was only a betta fish in it though. It did fine nothing died at all. For your 40B i would suggest draining water all the way to the substrate and placing your fish in a 5g bucket. This is what I did with my live rock, corals, and fish and i didn't lose any. The plants should be just fine as the substrate will still be very wet. you could also mist them if you were worried. It really depends on how long the move will take. Break the tank down last and set it when you arrive. Not all the way set up, but get water in it and get the water moving. Would the plants dry out if i lowered it below 1" of water? i would of course wrap the top with plastic wrap no questions asked to keep as much humidity as possible in it. I definitely do not wanna uproot the plants though. But i also dont want them to dry out... i could mist. Drive is 10-12 hours to new house. Fish in bucket is a can do. Suggest 5 gallon bucket? w/lid? Good reason to pull all plants, have a huge plant sale and re-arrange. Phish in a bucket I've done for several days with an air stone. Cover in case of jumpers. Lesswater for capped soil the better, a good slosh may mix things up. "Good reason to pull all plants, have a huge plant sale and re-arrange." Noooo can do... not doing that again *facepalm* took me like 1 year to get it how it is now! I have had success using a styrofoam box to hold the fish, so the water temperature wouldn't fluctuate so much. I got the box at a big grocery store, sold as a cooler. I always restart the tank from bare tank on up when I do this. There should be no cycling problem if you have kept the plants wet, so the bacteria on them remains alive. And, reusing the filter uncleaned is also a good idea. Thank you hoppy for the reply, id but most filter media in the bucket w/fish i believe... just so they have some personal space. or something to lean on cause i know the road that we are going to travel on and sometimes its flat as all get out, sometimes its gravel. 1- Drop the tank water to under 1" or 1" exactly. does this plan sound... full proof? surely 1" of water couldn't undo the soil cap. one thing im sure of is im not tearing the tank down, IE taking plants out, etc. Last edited by DutchMuch; 05-06-2018 at 06:51 AM..
one thing im sure of is tearing the tank down, IE taking plants out, etc. Did a trim. First trim. Hard to fathom that took 1 year to grow. I've tossed more than what's in that whole tankin a week. Thinning out them big clumps of hair grass might even help it's distribution. 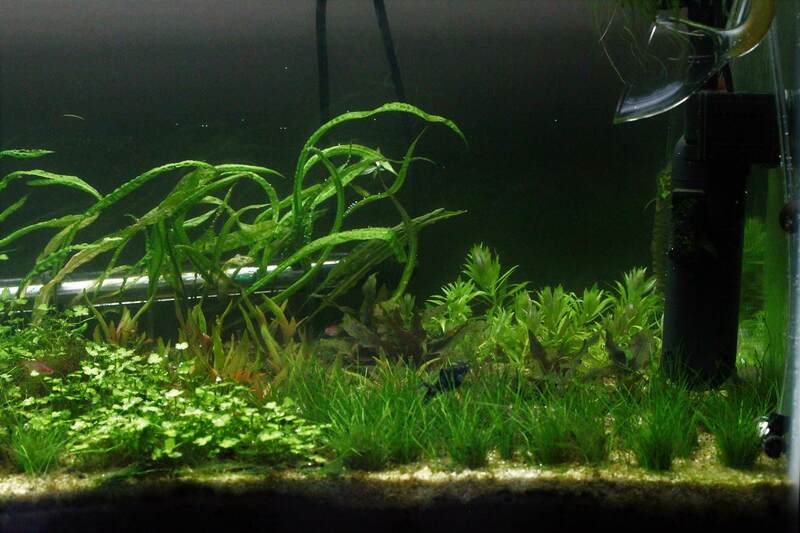 Aquatic Plant Central > General Interest Forums > DIY Aquarium Projects > Moving Tank (from state to state) need help.